Presurgical psychological evaluations for implantable pain devices and bariatric surgery. Call today for more information. We use the latest technology to track your activity, pain, and sleep to provide you and your physician or therapist with objective measurement of your functional abilities. Our 12-week Chronic Pain Management Group gives you the skills and resources you need to cope with your pain. Call us today! One of the key components of lasting behavioral change when coping with chronic pain is a good clear assessment of the most important things affected by pain... sleep and activity. You can ask our pain professionals specific questions. Pain College is our crash course in how to cope with chronic pain. This is your opportunity to learn all the things your doctors may not have told you about your health. Visit our center for Online Support Groups, a place where thousands of patients meet every day to discuss their feelings, questions and hopes with like minded friends. Dr. Aaron Wolfson Featured on segment about Pain Clinics from Aaron Wolfson. Welcome to Rehabilitation Psychology Associates. 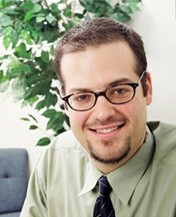 Rehabilitation Psychology Associates (RPA) led by Psychologist Dr. Aaron Wolfson, specializes in the unique needs of individuals with medical and physical challenges. This site is designed for individuals suffering from chronic pain to benefit from our years of clinical practice and research to learn how to take back your life! One of the most insidious byproducts of ongoing physical pain and disability is the sense of isolation and despair that develops as patients become more and more discouraged with their health status. Our hope is to provide you with the resources, information, and motivation you need to drastically improve your quality of life.